The damage that can occur in pipes and shafts that are in sewer and drain systems varies widely: Pipelines in poor condition due to corrosion, defective pipeline connections and damaged pipes and materials can all have an impact on the effectiveness of the seals. External factors, such as the mechanical effects of construction machinery and ground movements (freezing/dry conditions, subsidence etc.) can all cause damage too. Innovative channel and shaft seals from DENSO withstand these loads permanently and reliably. They can be used in almost any weather conditions and are highly resistant to water pressure. In shaft components and special profiles made of concrete, the connection points are often uneven, and yet the seal still needs to be completely reliable. 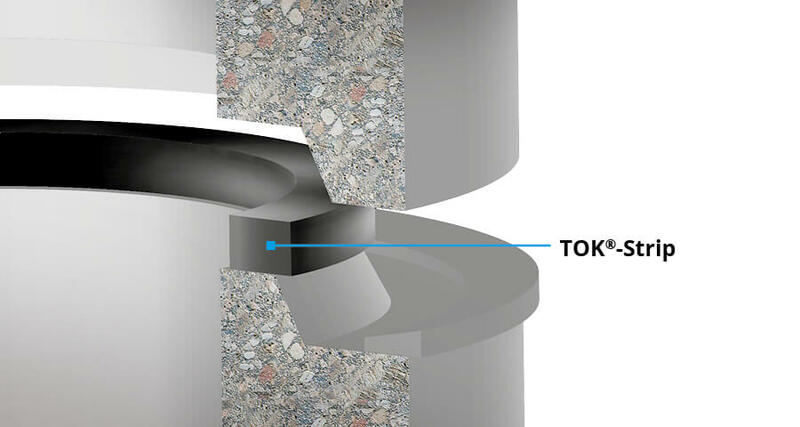 Our plastic seal TOK®-Strip is perfect for these challenging conditions. Thanks to the innovative combination of bitumen, butyl rubber and other components, along with a self-adhesive coating on one side, the sealing profile adapts to the dimensions of the surface and evens out any irregularities on the component. 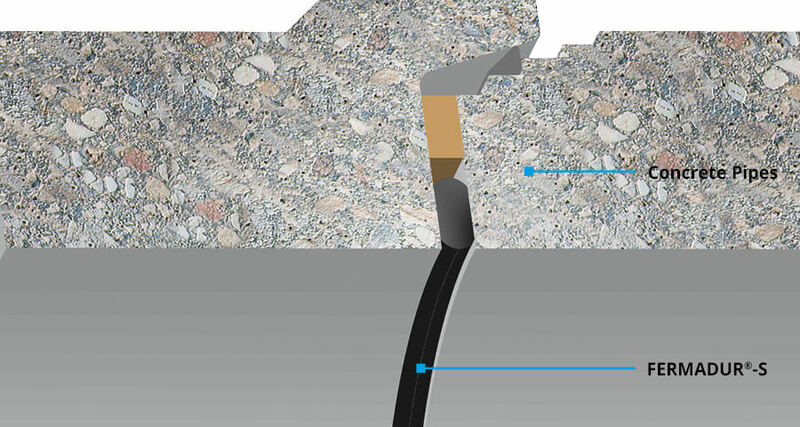 Working and expansion joints in underground channels and shafts can be sealed reliably using FERMADUR®-S. FERMADUR®-S creates a reliable seal in joints using restoring forces, which are created by the deformation of the sealing profile when it is installed in the joint. 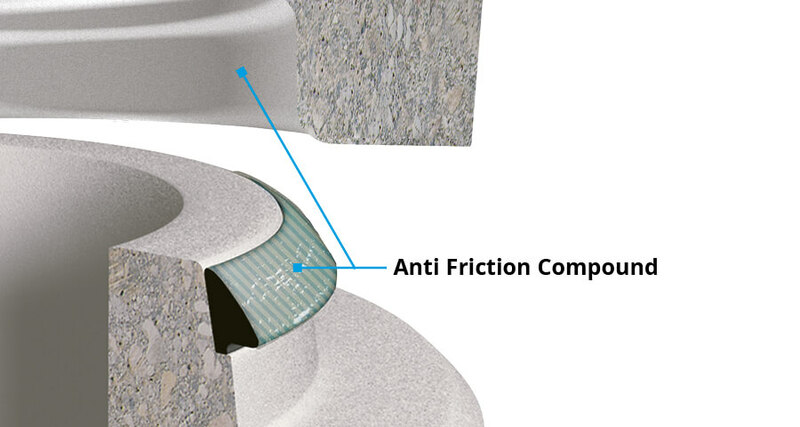 FERMADUR®-S can even be used on unsealed joints that are subject to constant water pressure (of up to 1.0 bar). Applying DENSO®-Gleitmittel (lubricant) to the spigot and sleeve helps to connect mechanical seals on pipes and shaft components made of concrete. DENSO®-Gleitmittel (lubricant) is easy and quick to apply in any weather. The product is compatible with all rubber seals in accordance with EN 681-1 and is biodegradable. Joints in components that are subject to high dynamic loads (e.g. 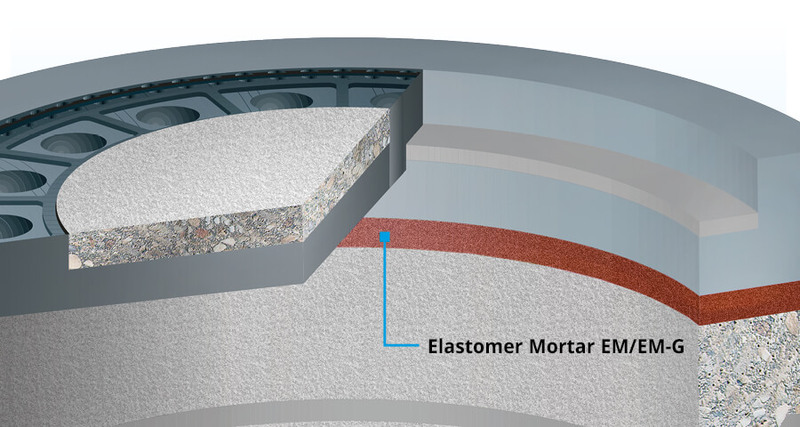 traffic) can be permanently protected using the long-life elastic and vibration-damping joint mortar DENSOLASTIC®-EM or the underlay compound DENSOLASTIC®-KU.